Restaurant Review: Broad Ripple Brew Pub - NCHS Live! Step inside, and you may think that you have just stepped into a central London pub in Great Britain. Step back outside, and you are back in Indiana. The Broad Ripple Brew Pub has been a restaurant longer than any NC student has been alive. The Brewpub is a mainstay of the Broad Ripple food scene. Located on the corner of 65th and Cornell Ave, the Brewpub is at the center of the restaurants in Broad Ripple. With its dark walls and dark wood furnishings give the Brewpub a warm feeling. Like walking out of a blizzard into a warm building. The menu of the Brewpub is a mixture of different kinds of cuisines. There is Indiana dishes, like the breaded tenderloin. There is standard American faire, like Burgers or salads, and there is also British cuisine, like Shepherd’s Pie. Speaking of Shepherd’s Pie, it is the first dish to be reviewed. Shepherd’s pie is usually a meat stem with vegetables and broth, topped with mashed potatoes. The Brewpub keeps true to this form. 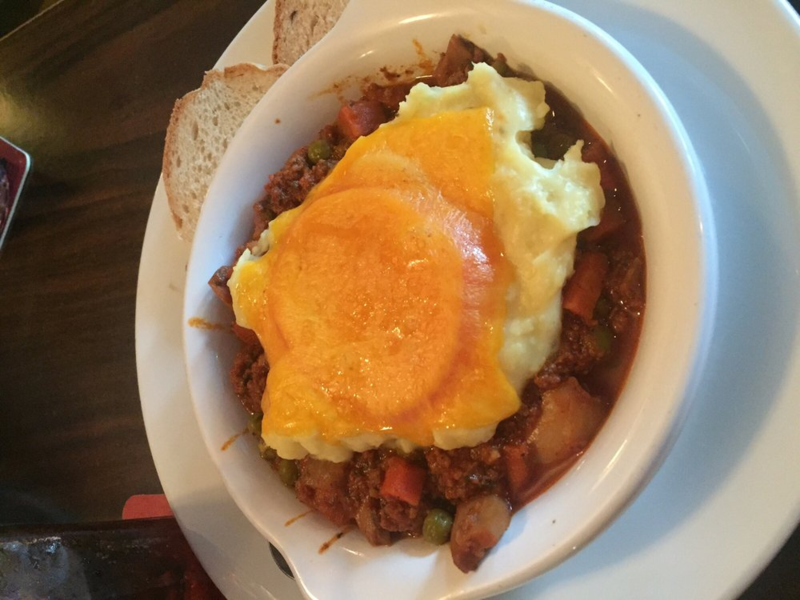 The Shepherd’s pie of the Brew pub is a perfect combination of the meat, vegetables and broth. The potatoes are cooked well and are mashed perfectly. The addition of cheese to the potatoes is a welcome part of the dish. 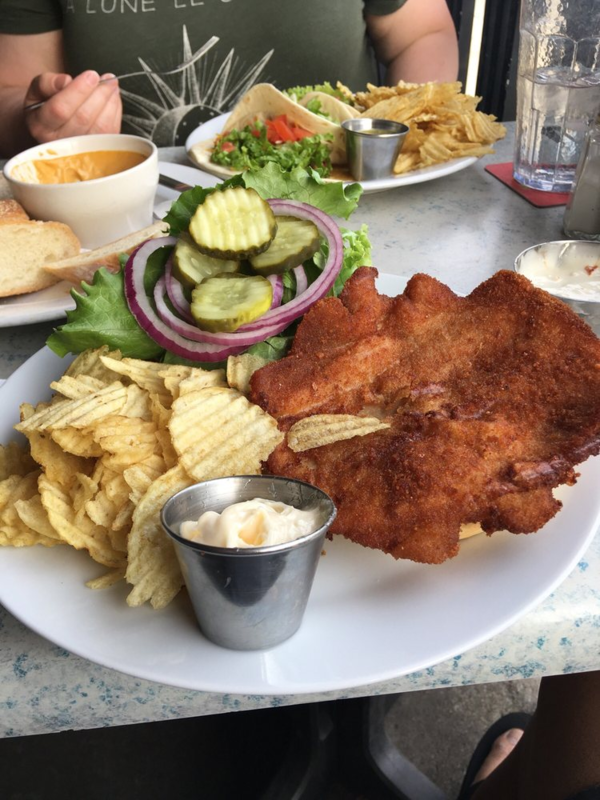 For the second week in a row, the Indiana classic breaded pork tenderloin is also reviewed. Unlike the tenderloin of Fire On the Monon, the tenderloin of the Brewpub is of a much more manageable size. The batter was cooked a little too much, with the breading become harder, but overall, the tenderloin was up to par. Finally, it is the classic bacon sandwich.